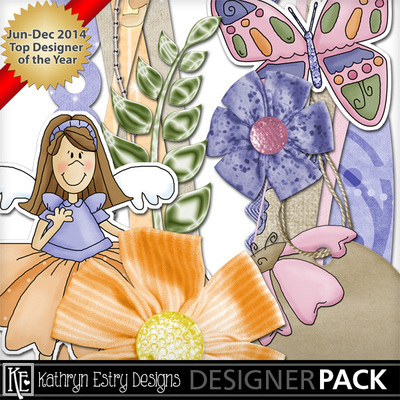 Fairy Kisses is a magical springtime collection loaded with goodies that will thrill the little girl in all of us. Create enchanted pages for your daughter and her friends or recapture the feeling you had as a little girl and scrap some of your scanned photos of your childhood. Save 50% with the Discount Bundle and get the Bookmarks FREE!